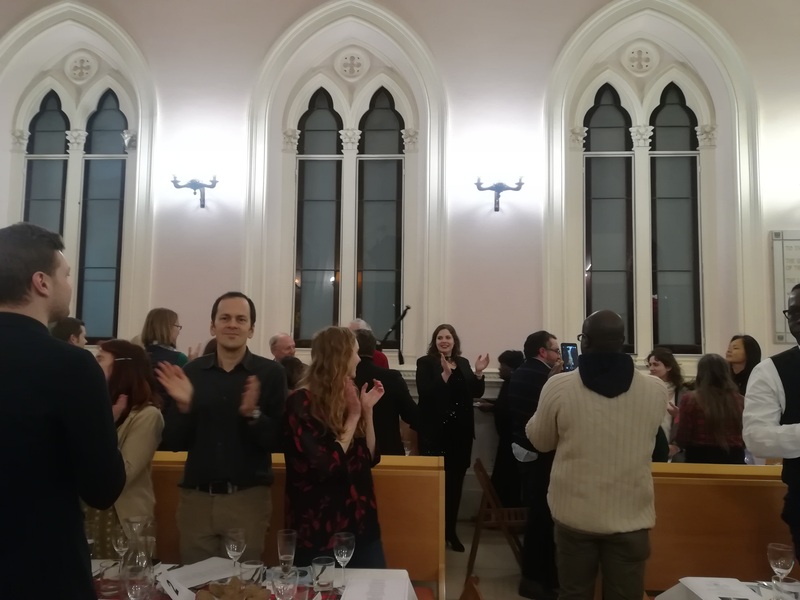 "Thank you St Andrew’s Church of Scotland church in Rome for the wonderful Burns Night supper, complete with piper and haggis - and even Burns-themed napkins (see picture). 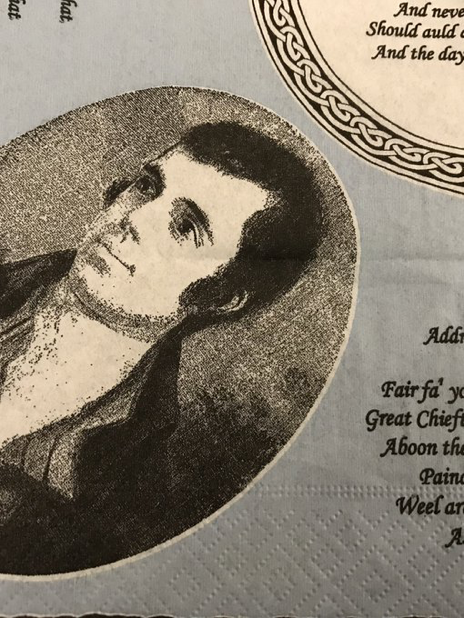 #BurnsNight2019"
"I just wanted to thank you for the fabulous Burns Night supper on Friday night. 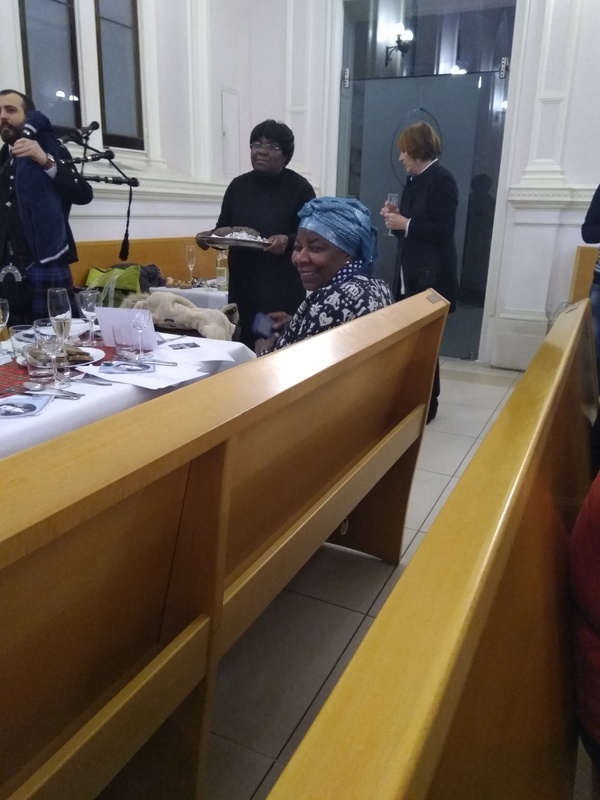 It was a very special evening and I thoroughly enjoyed myself. 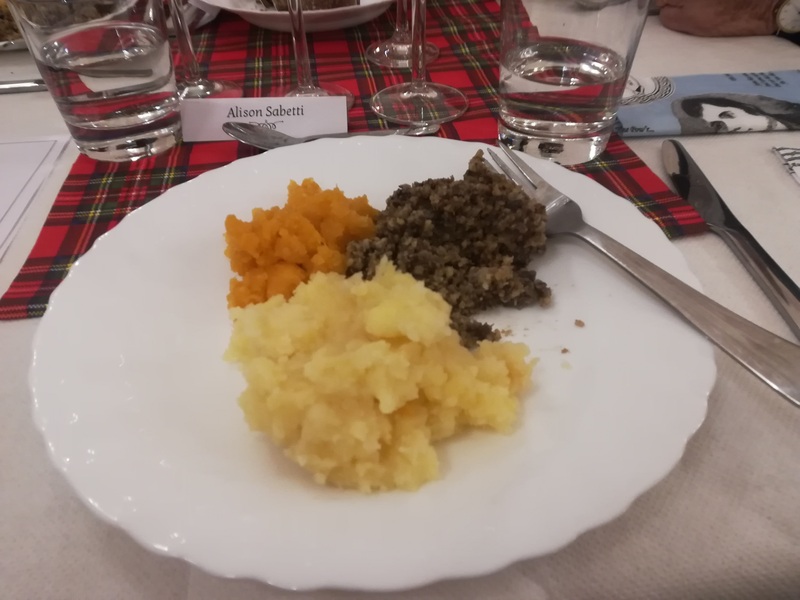 The food was incredible – I didn’t think I’d get haggis in Italy. 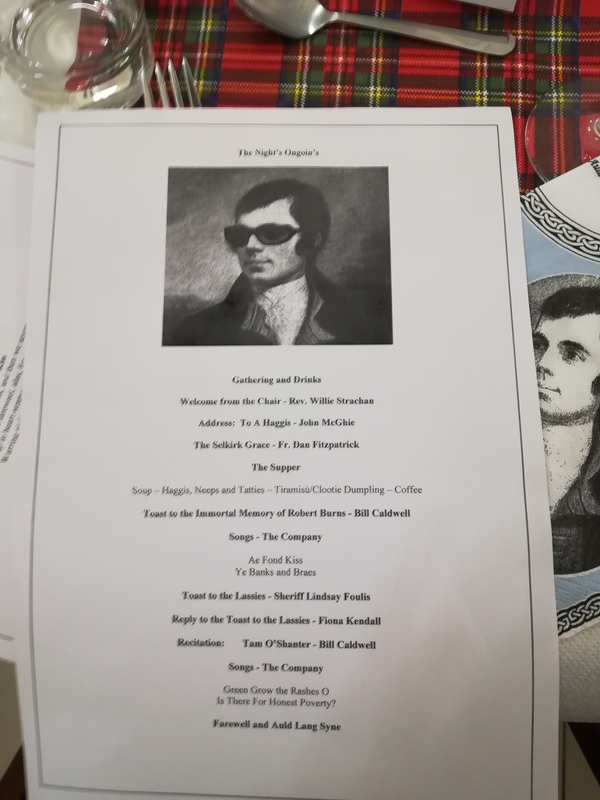 The speeches were incredible and I so enjoyed hearing so much of Burns’ poetry." 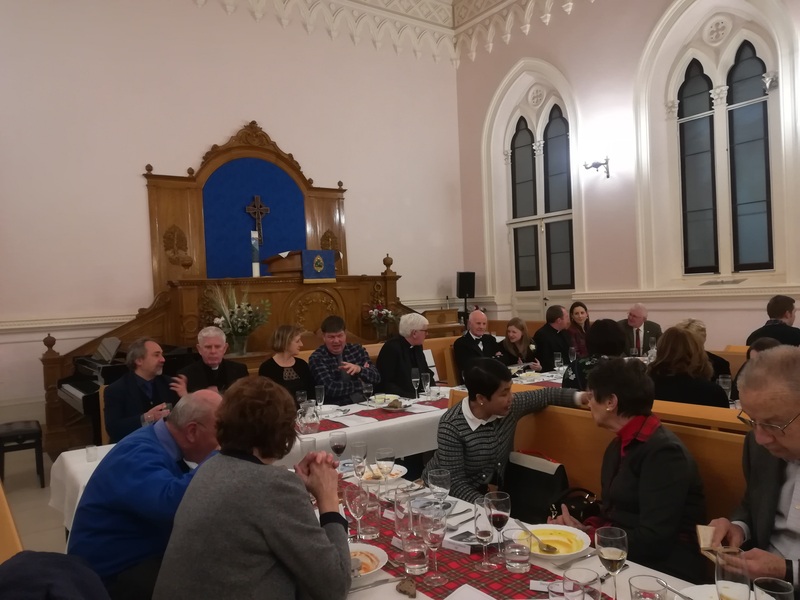 "Just wanted to thank you very much for the wonderful Burns night. I had a great time and it was great to hear so many Scottish accents! Well done to you and your team for a lovely occasion." 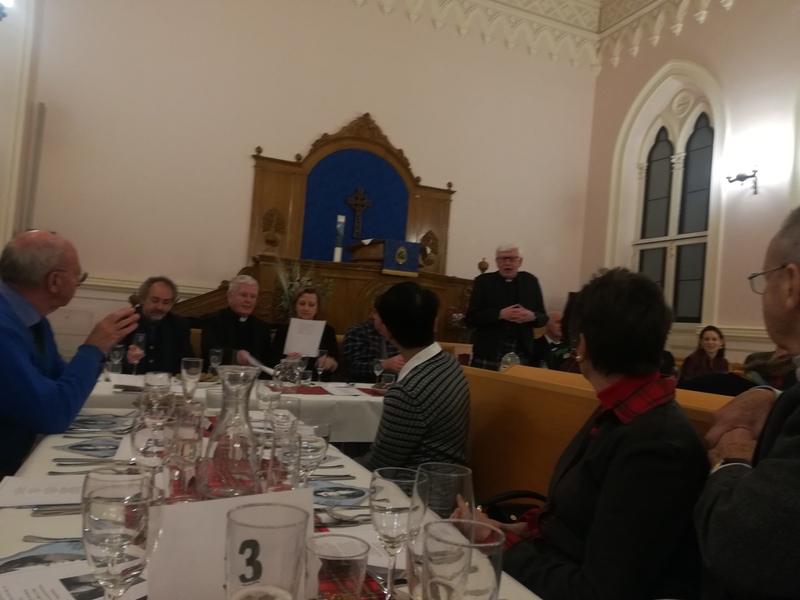 "How can I thank you enough for the wonderful Burns Supper last Friday. 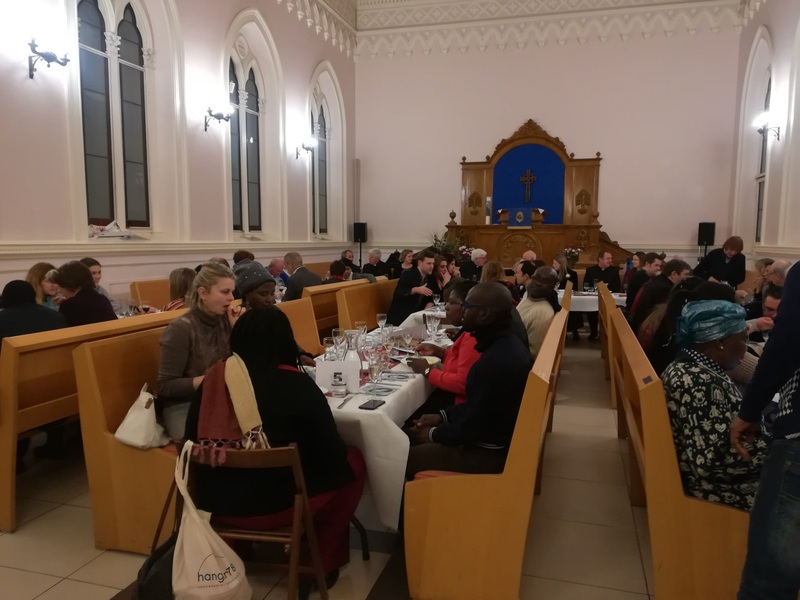 What a joyous, interesting and memorable evening! Please thank Gillian and everyone who put in so much effort to make it happen. I hope that the tradition has now taken root here in Rome and that it will continue for many years to come."